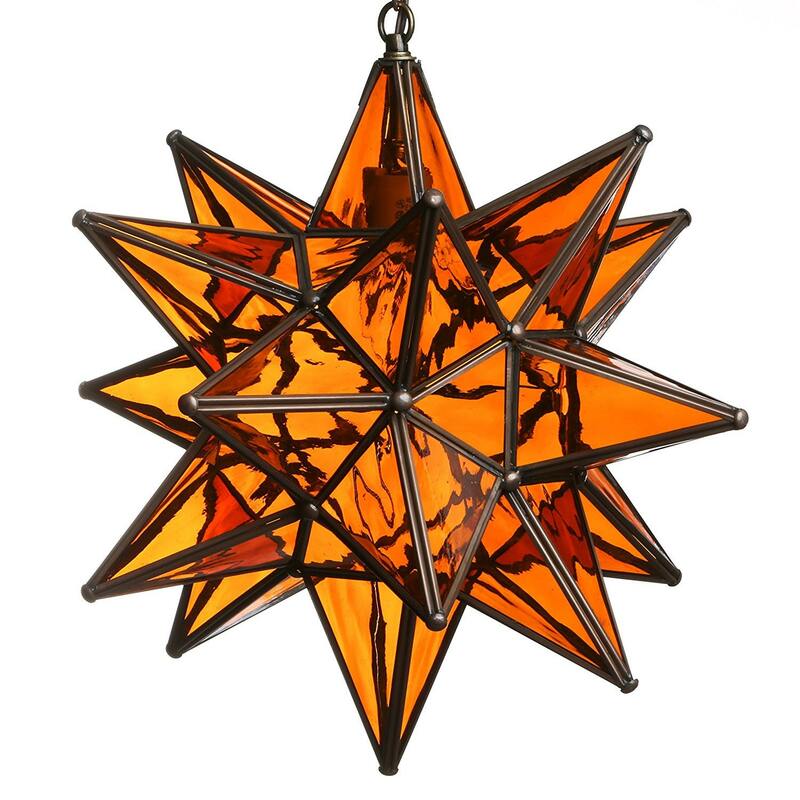 Moravian Moroccan Hanging black metal Star. 14 inches in height. Amber stained glass. Candelabra bulb included. One side opens so you can easily change the bulb.